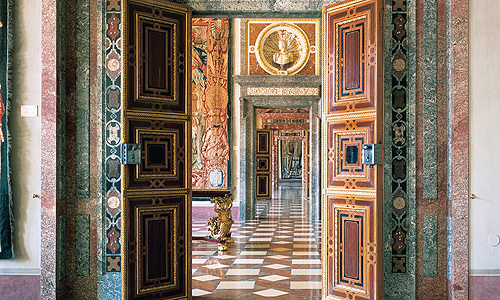 The Stone Rooms are located in the west Imperial Courtyard wing built from 1611 under Maximilian I. In the 17th century they were the largest and most important sequence of rooms in the Residence. The rooms take their present name from the extensive use of marble, stucco marble and stucco marble inlays (scagliola) in their decoration. The Stone Rooms served as the most exclusive guest apartment, reserved for the emperor and his wife when they stopped in Munich. 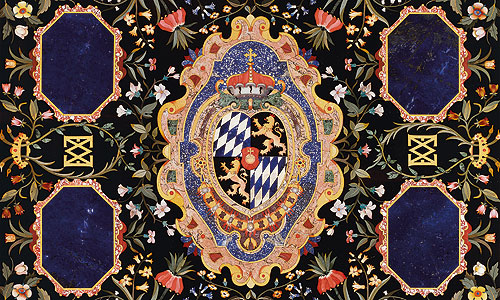 The walls were originally hung with the most exquisite tapestries in the Residence only on the occasion of such a visit. 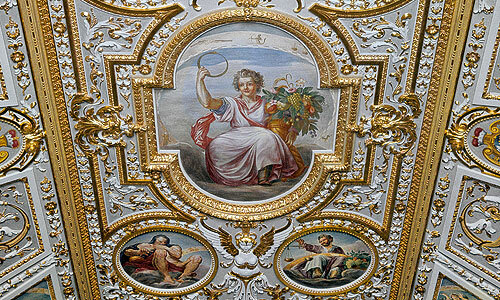 These tapestries are now the most important decorative feature of the Stone Rooms. 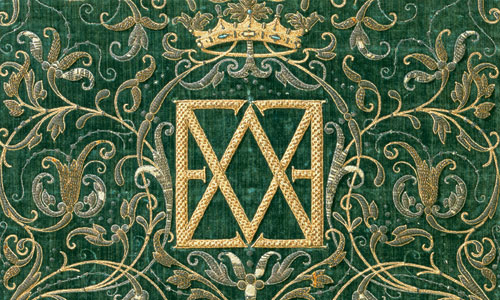 The hangings, which are richly interwoven with gold threads, were commissioned by Maximilian I. and made between 1604 and 1611 by the Dutch tapestry weaver Hans van der Biest from designs by Peter Candid. 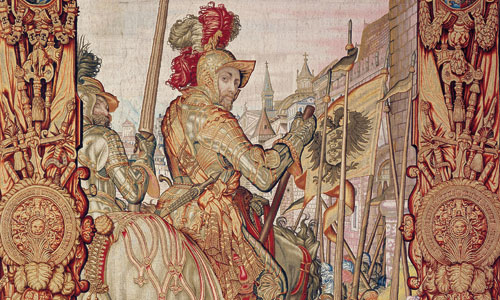 They depict the deeds of Count Palatine Otto I, the first Bavarian duke from the Wittelsbach dynasty. 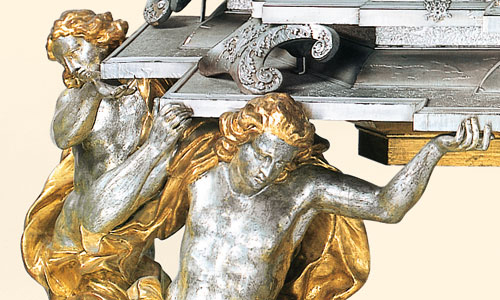 This suite of rooms was destroyed in the Second World War, and after 1945 it was a major task to reconstruct them as they were in the 17th century The ornamental Baroque furniture on display here comes from the princely art collections.